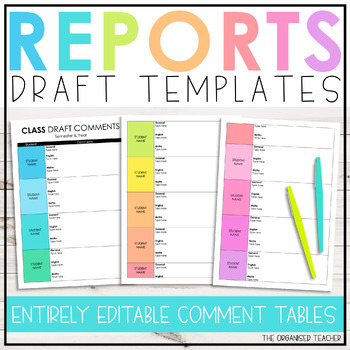 A completely editable template for drafting your report comments. I like to draft all of my report comments and keep them in the one place for my whole class. Use this beautiful design to add some colour to report writing time! I hope you enjoy this freebie :) Be sure to check out the other items in my store!